General Election Count. ((N81)..1981..13.06.1981..06.13.1981..13th June 1981..After the general election voting was done and dusted, attention now swung to the various count centres throughout the country. 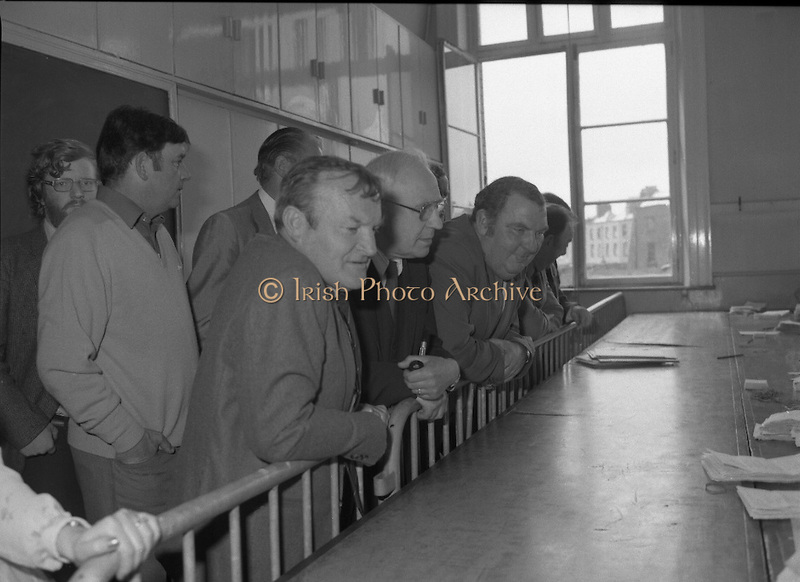 Hopeful politicians,wellwishers and party tally men descended on the centres to see the counting take place and hope to glean their prospects or that of the parties..Picture shows Mr Padraic Haughey, brother of Charles Haughey ,Mr Tom Holt, Fianna Fáil Director of Elections, Dublin North Central and Mr Pat O'Connor the Taoiseach's election agent keeping a wary eye on the count.